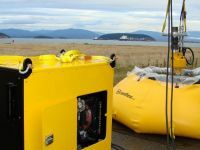 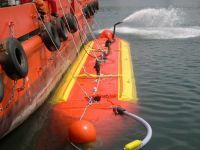 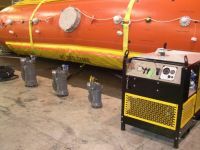 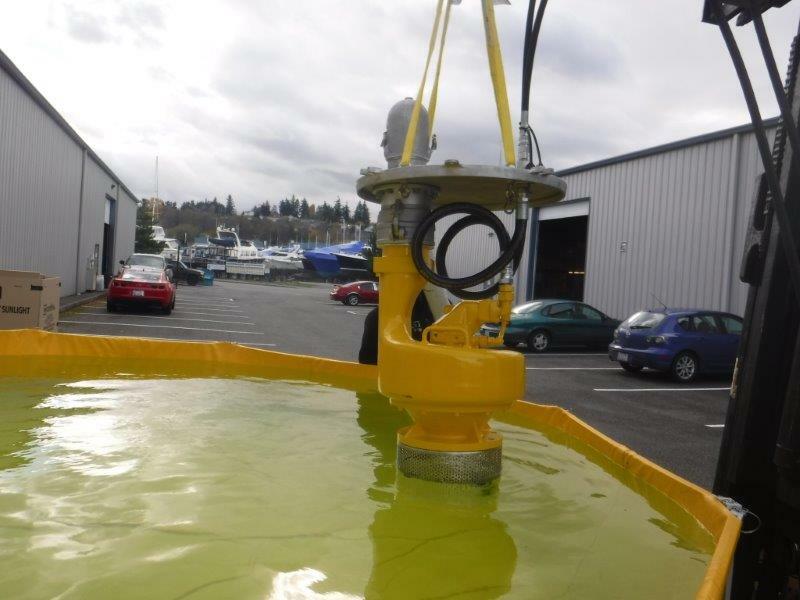 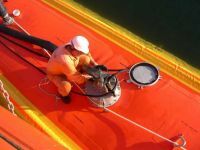 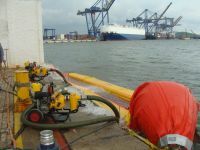 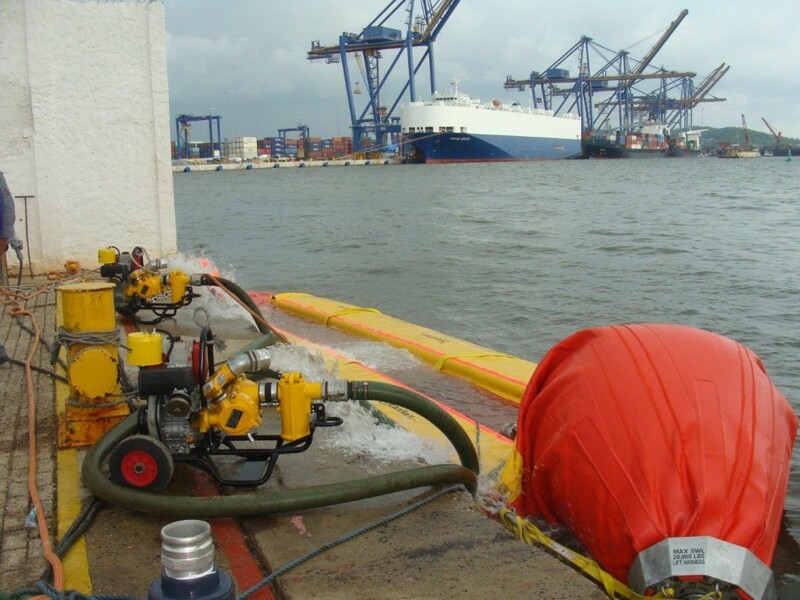 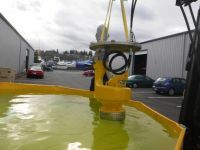 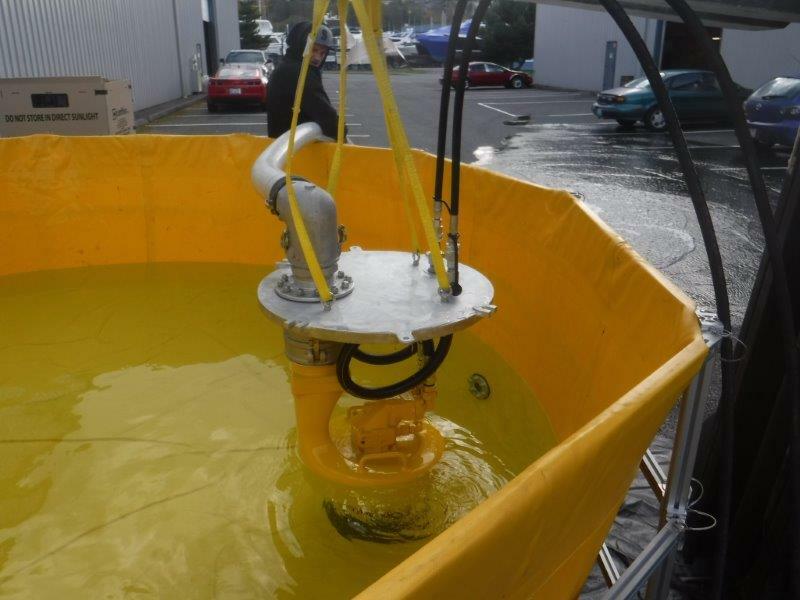 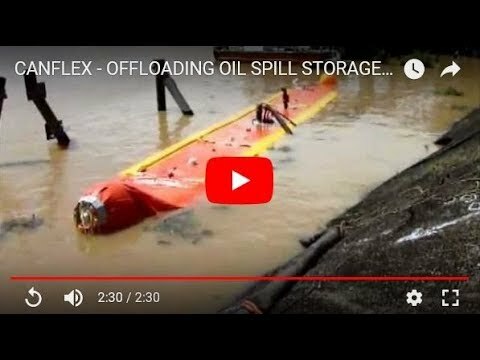 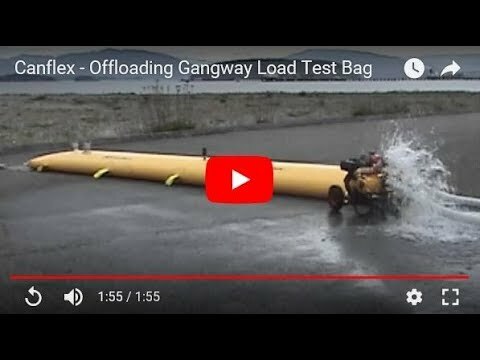 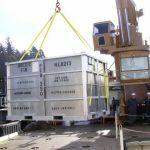 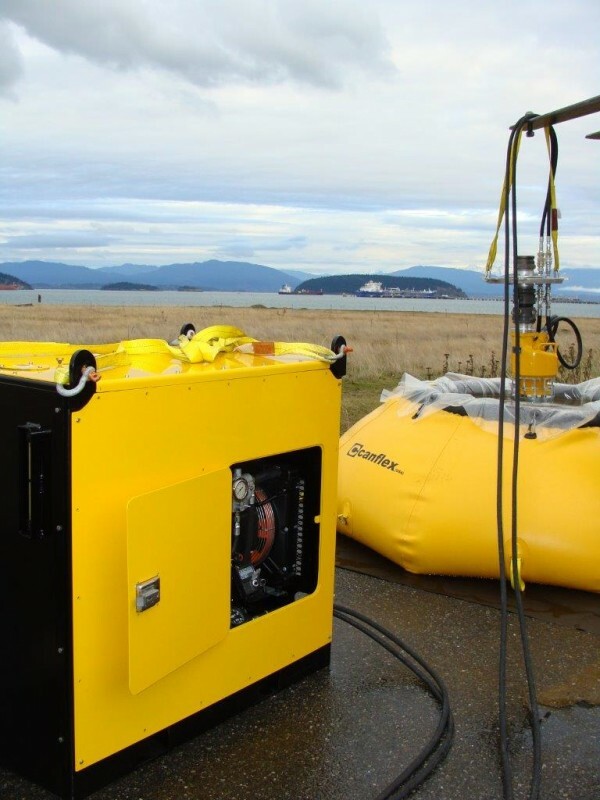 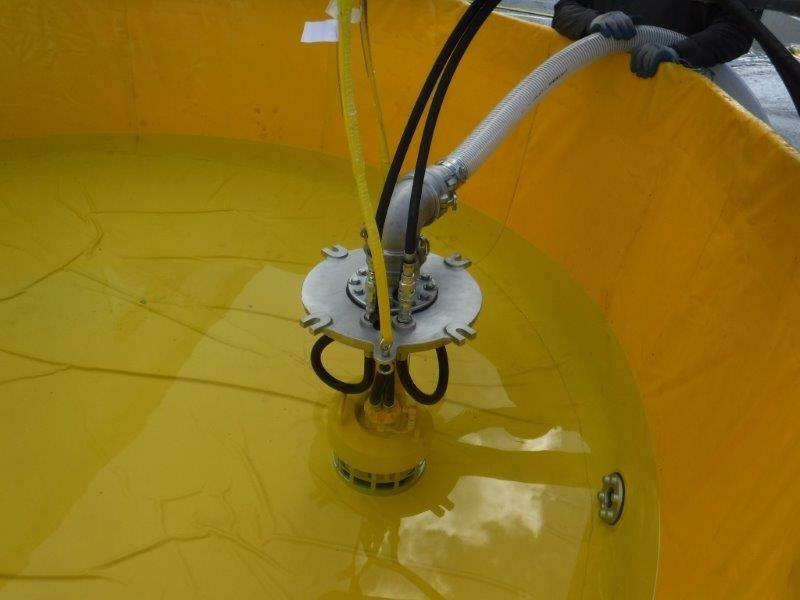 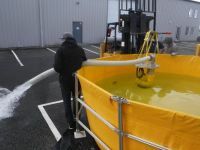 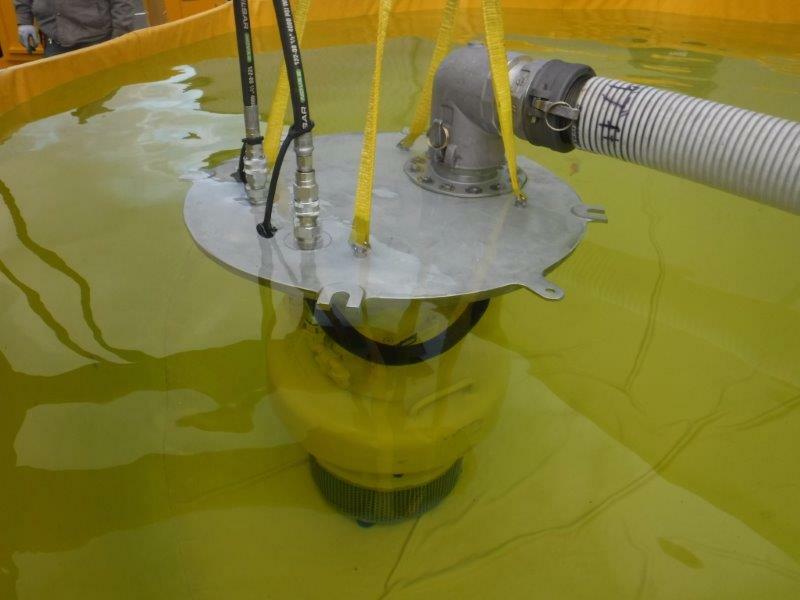 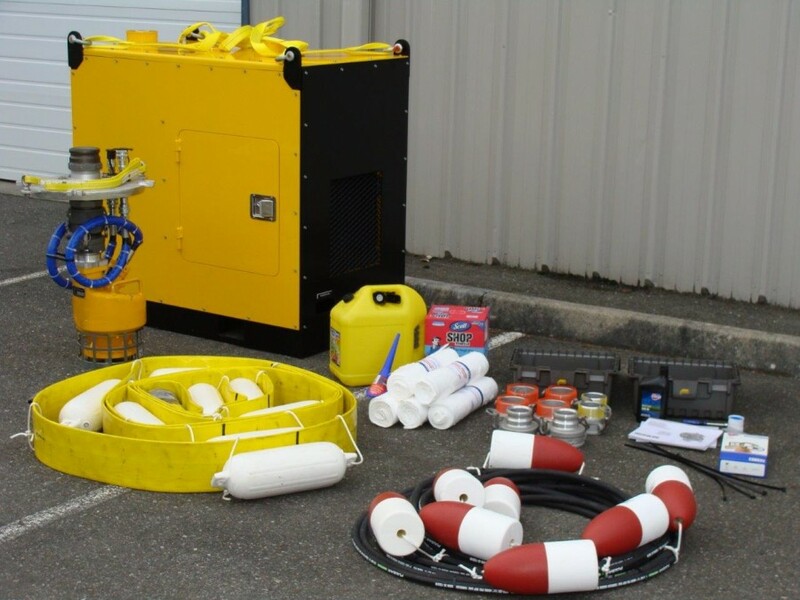 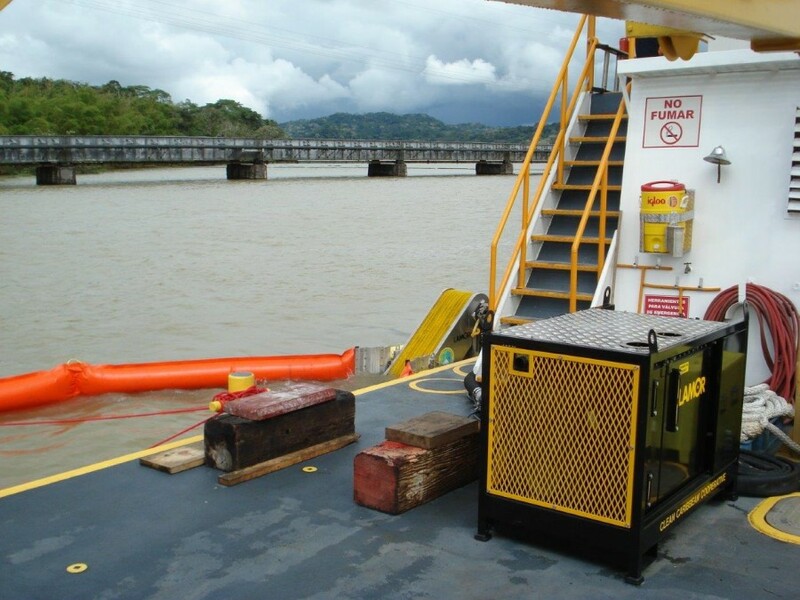 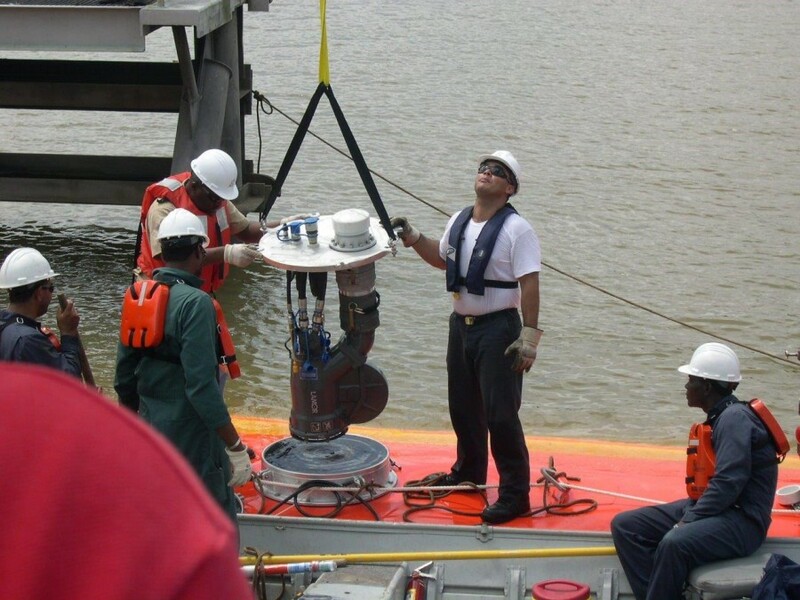 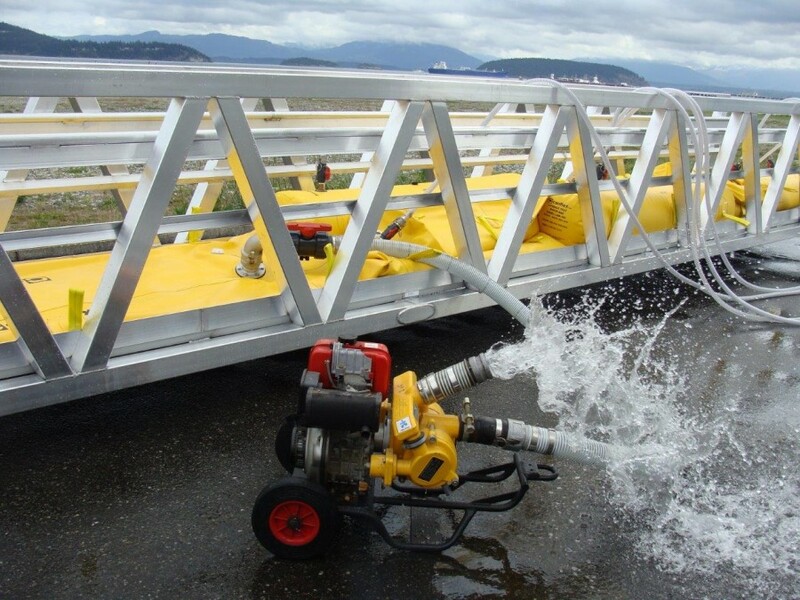 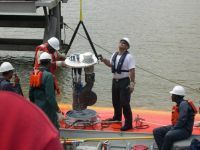 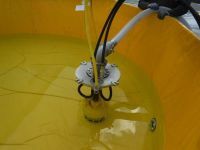 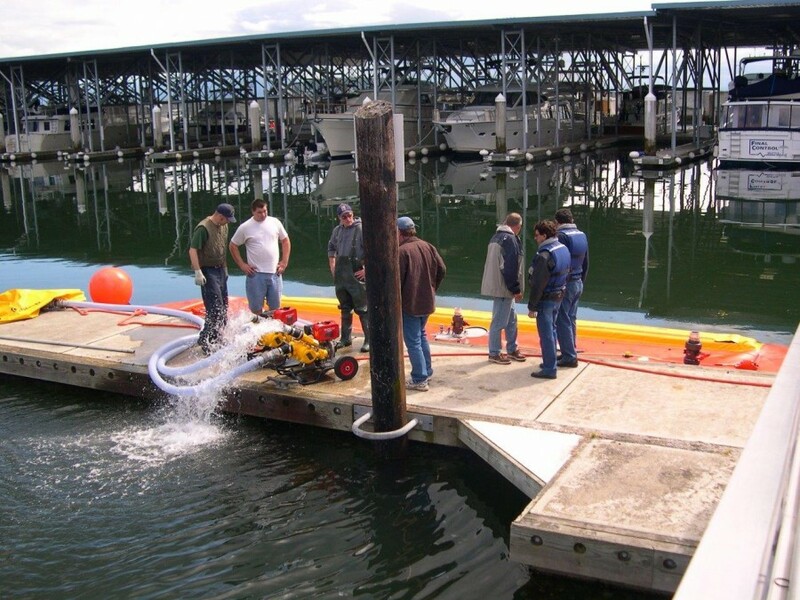 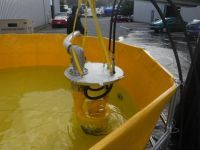 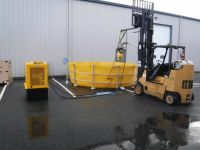 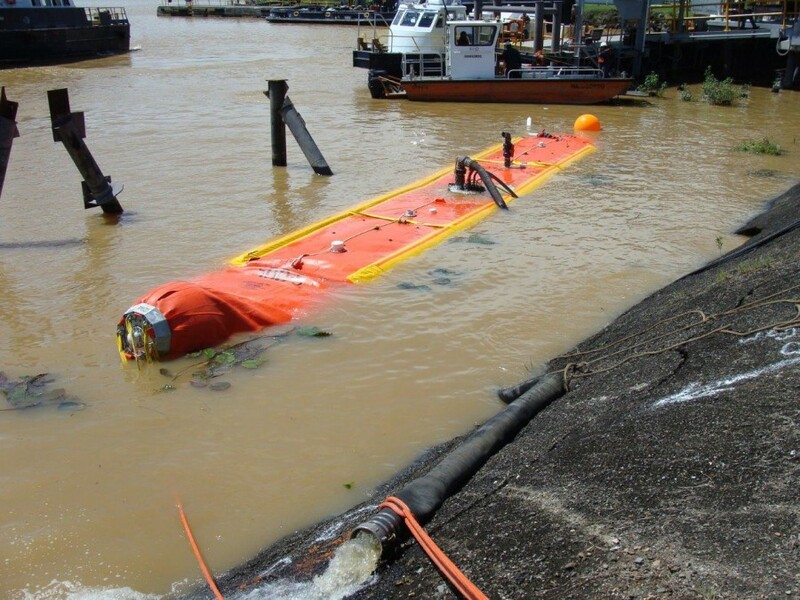 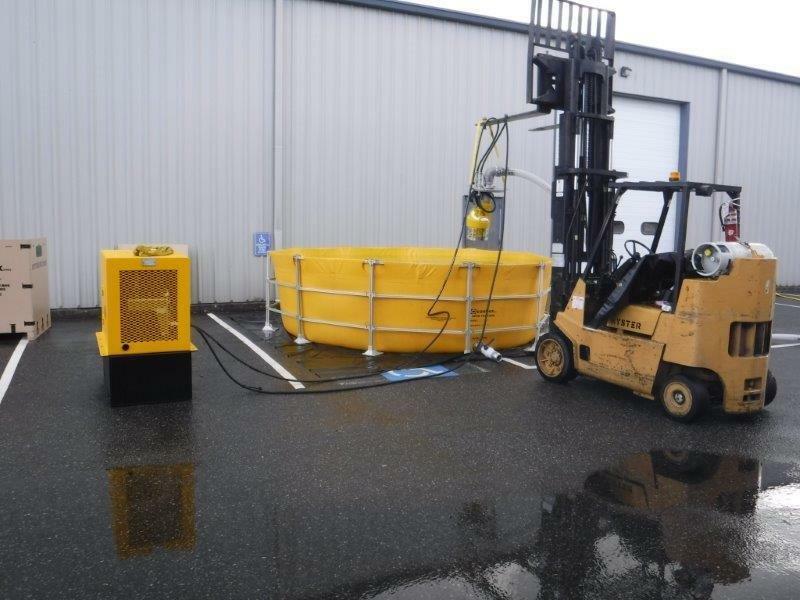 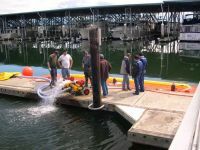 CANFLEX offers a proven submersible pump off loading system for its “Sea Slug” Ocean Towable Bladders. 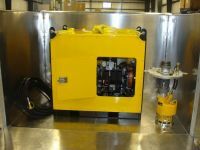 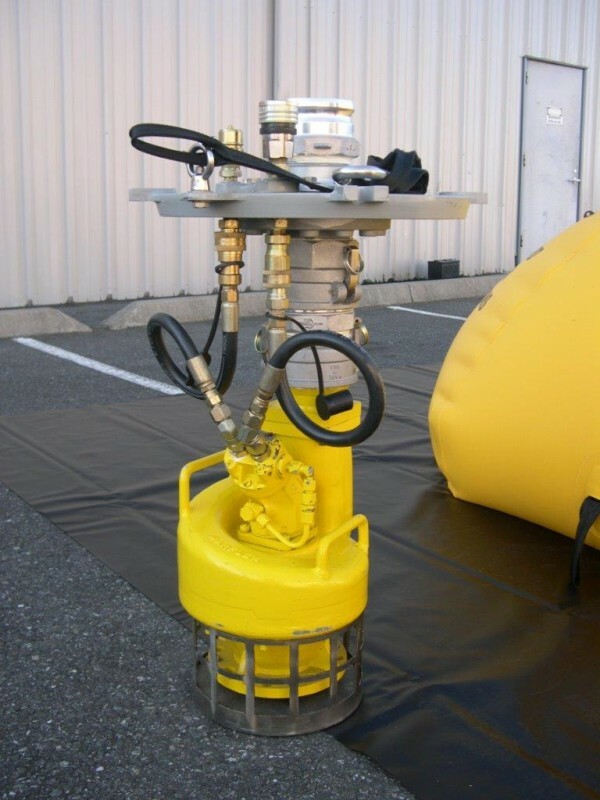 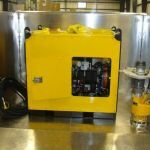 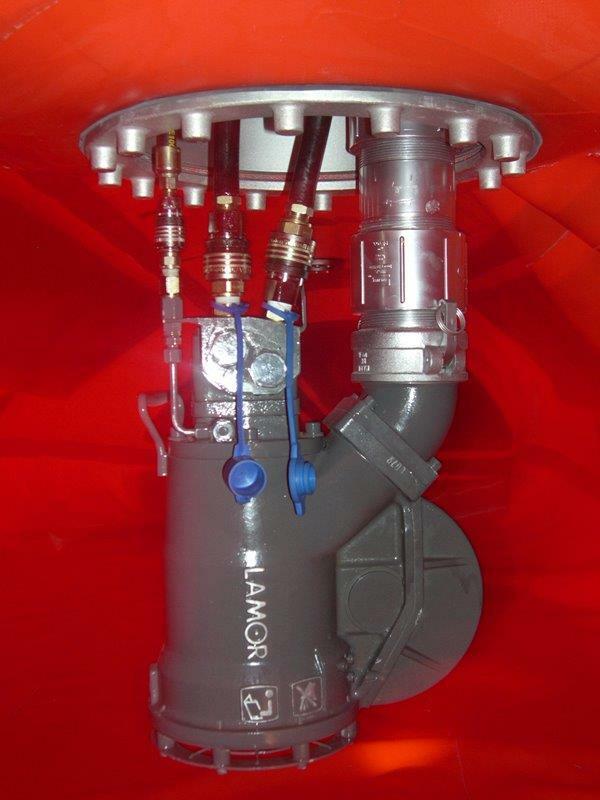 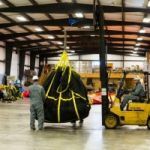 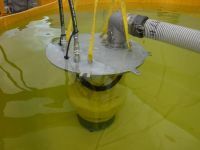 In addition, Canflex offers a manufactured top center off-load hatch assembly that allows the submersible pump to be lowered into the center of the bladder. 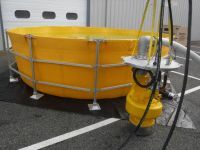 This top center hatch opening is available for “Sea Slugs” in the sizes of 20 m³ capacity or larger. 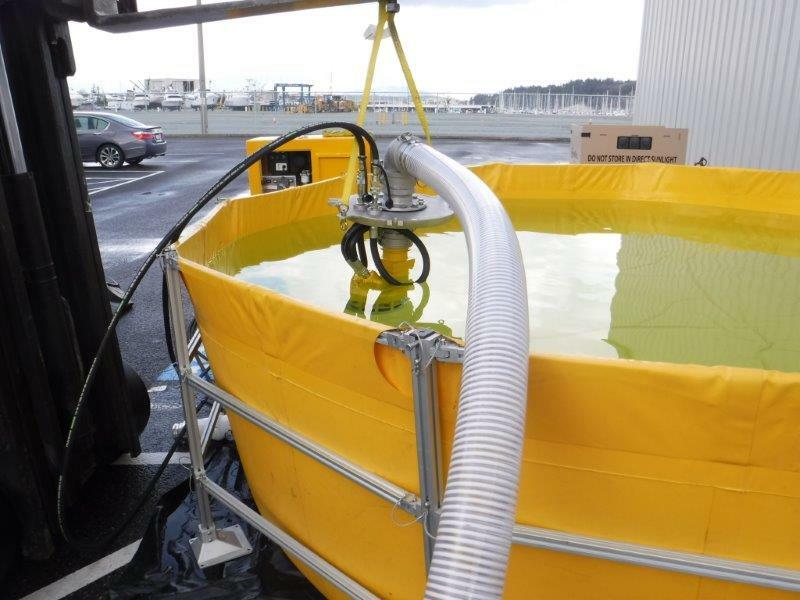 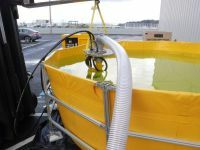 This is a fast and efficient method of off loading and is achieved by simply lowering the custom watertight cap with the pump attached into the Sea Slug. 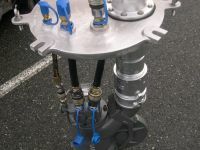 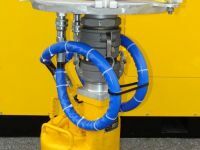 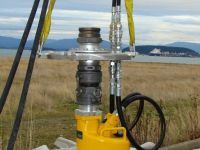 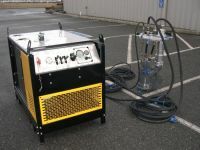 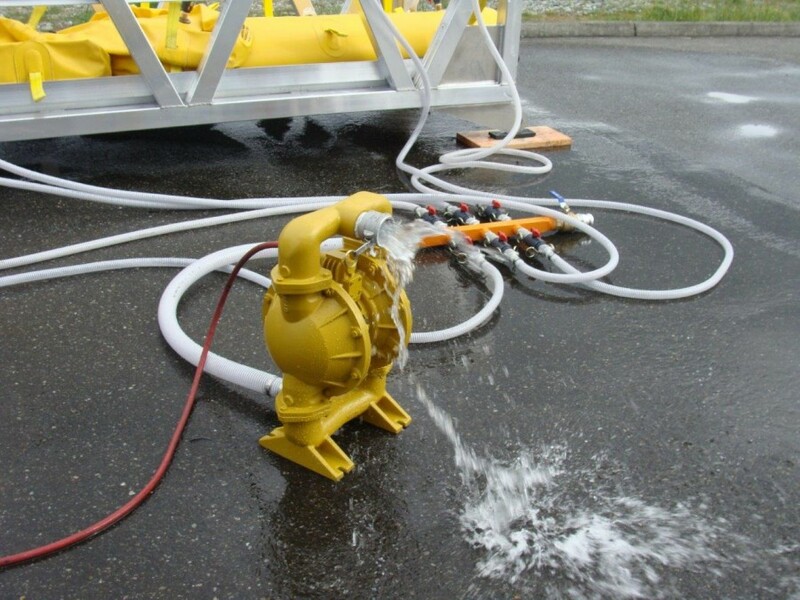 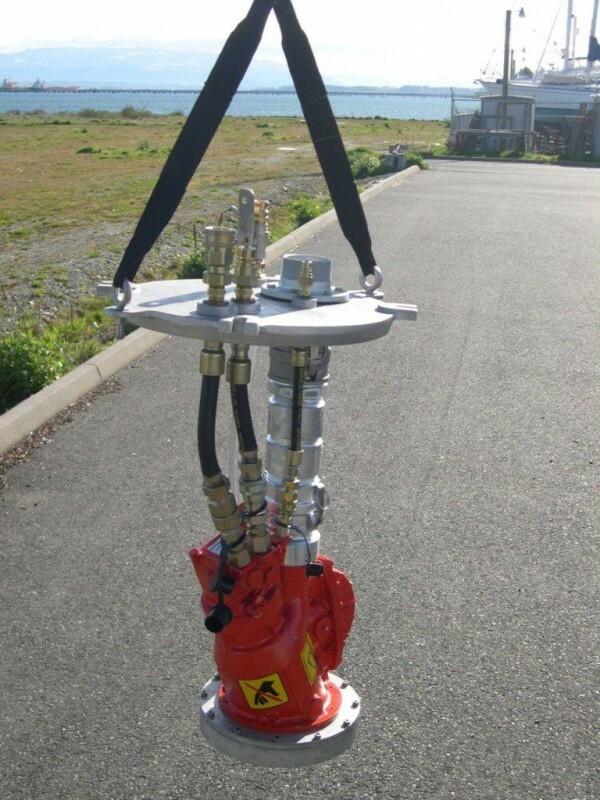 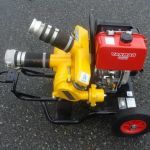 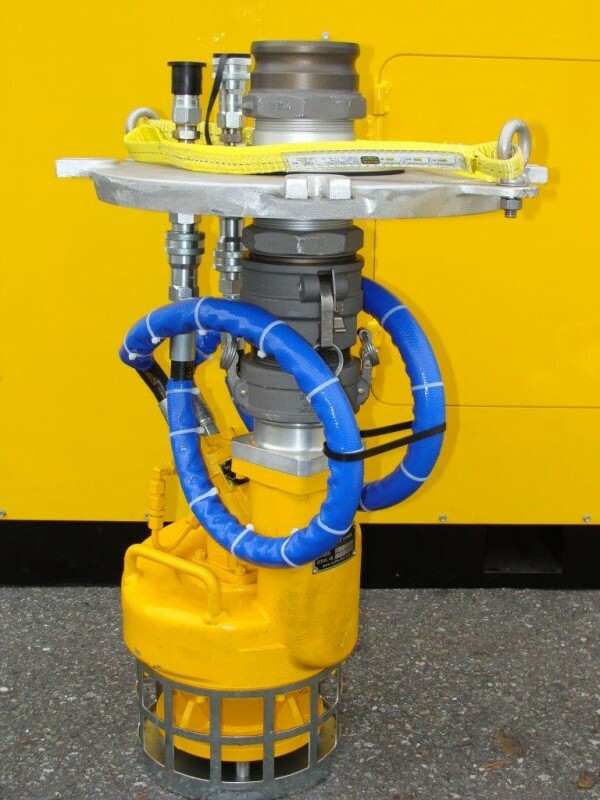 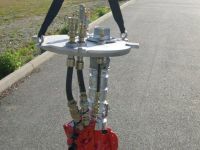 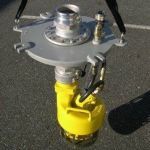 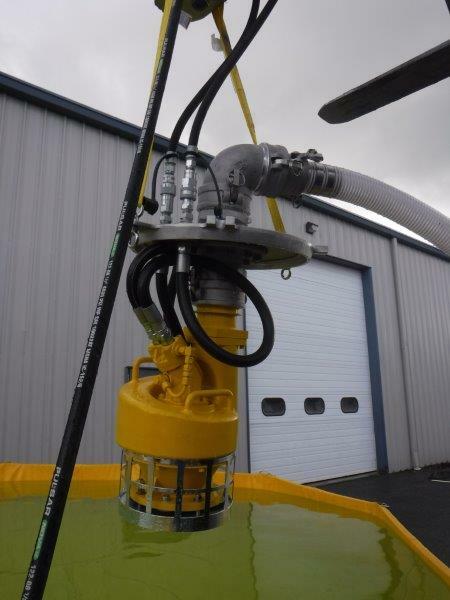 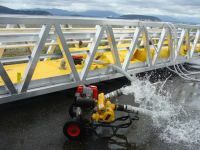 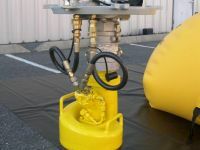 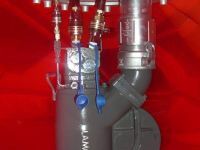 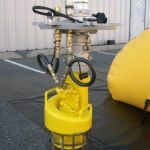 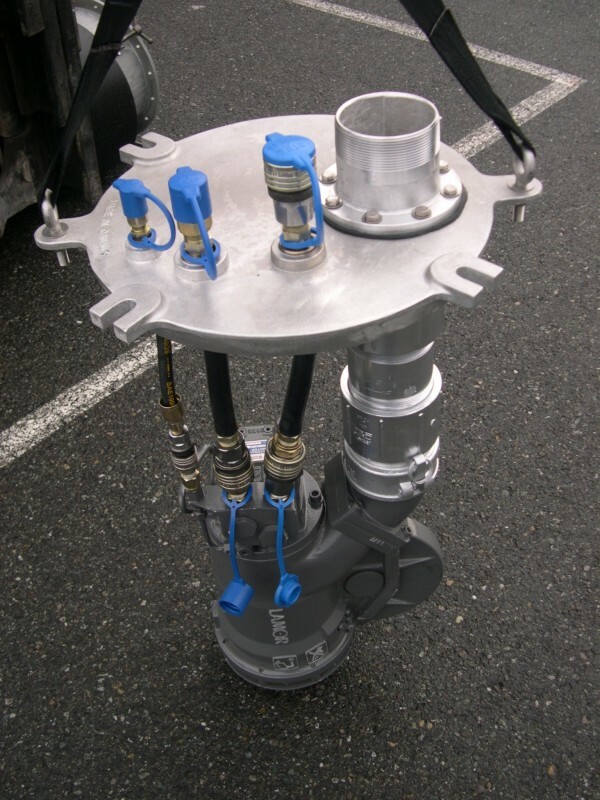 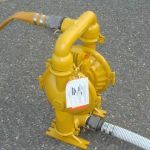 With the pump now locked inside the bladder, all hydraulic power hoses and off-load fluid connections can quickly be connected to external fittings on the pump adaptation cap. 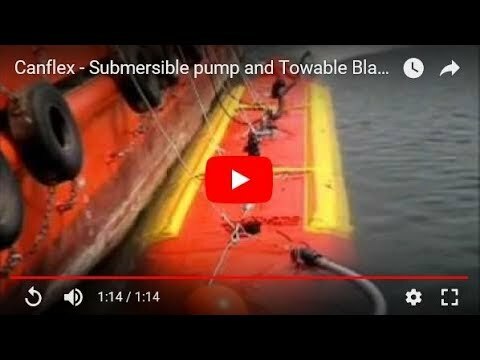 CANFLEX also offers positive displacement Archimedes screw pumps or Centrifugal screw submersible pumps with off-load capacities from 20 m³/h to 170 m³/h. 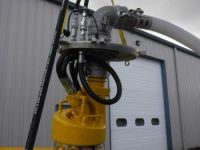 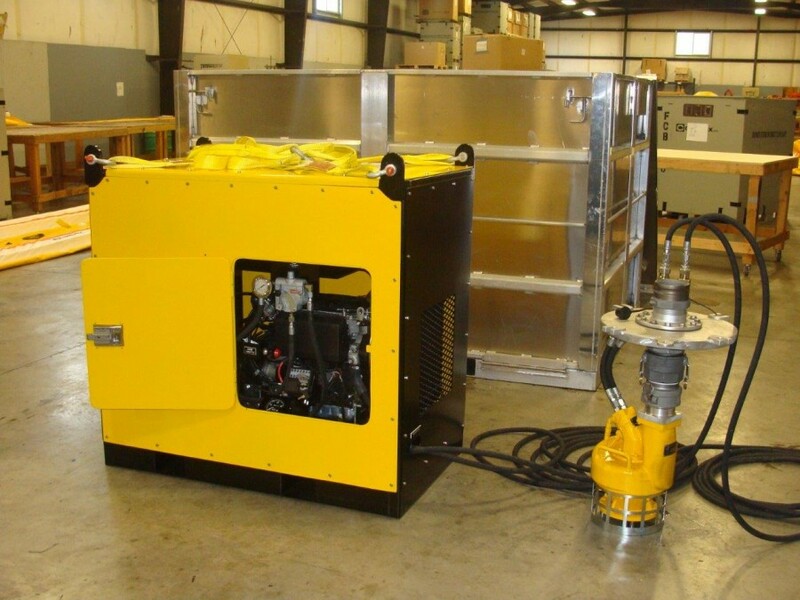 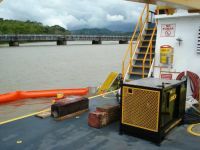 These high capacity pumps, driven by their respective diesel engine powered hydraulic power packs will off-load a wide variety of fluids including high viscosity crude oils. Also available are non-submersible, portable diesel engine power type pumps with off-load capacities from 11 m³/h to 600 m³/h. 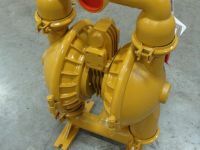 This type of pump can be connected to our stern off-load hose connection or at one of the top NPT flanged fittings. Choice of engine/motor types-diesel, electric and gas. 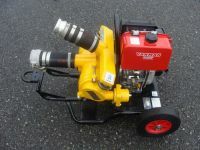 Wide range of power options. Multipurpose and simple to maintain and operate. 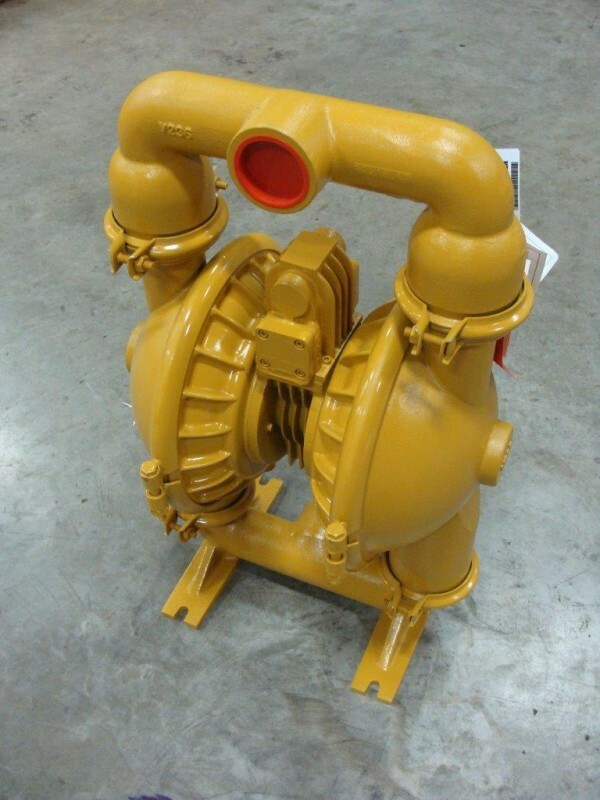 Pumps are suitable for all oil recovery applications. 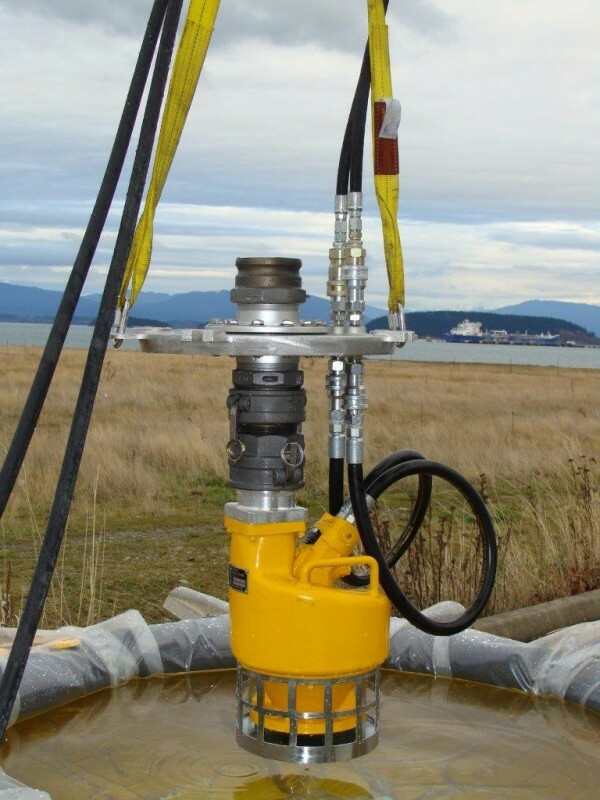 Extreme viscous oil and debris handling capability. 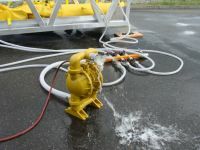 High discharge pressure of 12 bar, even on water. 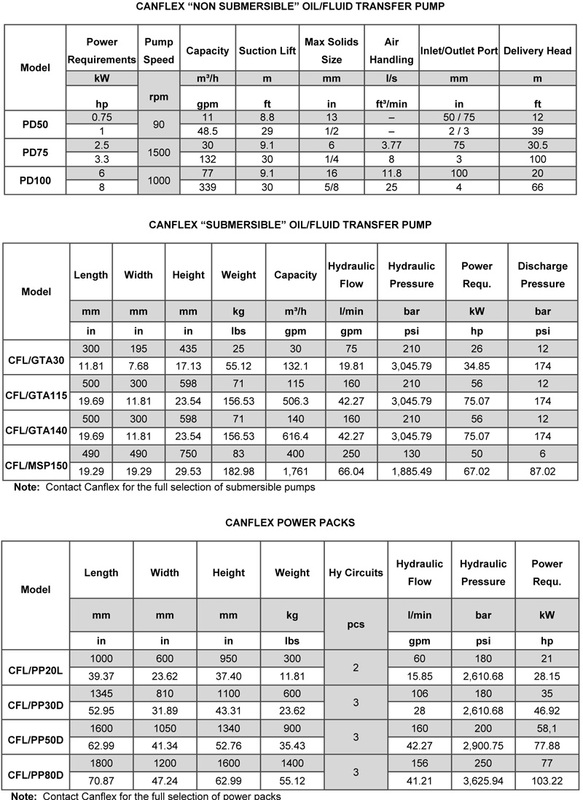 Capacities from 20 to 140 m3/h (88 to 616 USGPM).